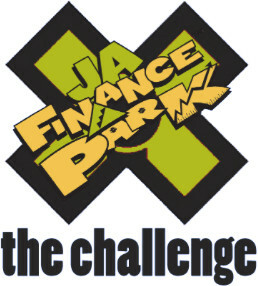 JA Finance Park allows students to experience their personal financial futures first-hand. Upon entering the center, students receive a unique adult profile with a career, income, education level, and family scenario. Based on their adult profile, students will research different financial decisions in order to complete a balanced household budget, and will shop for their needs and wants based on the budget they create. Volunteer Role: You will mentor and guide students through their day to help to create a more authentic simulation. Volunteers in JA Finance Park provide those "ah ha" moments daily as they help students discover the value of themselves, their education, and their future beyond the classroom. You will guide a small group of students, helping them make the connection between their education to career, career to income, and ultimately their income to lifestyle. No matter your profession, your life experiences qualify you to be a successful volunteer! Before you come into the Discovery Center please limit personal items you bring inside. Remove all valuables from sight and lock your vehicle. Doors will open at 8 a.m.
We are housed in the building of the new Discovery High School. If you are facing the front doors of the high school, we are on the far right. Our doors face Old Norcross Rd and there is parking for volunteers right in front of the front door. Junior Achievement relies on volunteers like you, and we truly appreciate your dedication to serving Georgia’s youth.